CSLN membership rates remain low and affordable each year. You can renew your membership or sign up for the first time. For additional membership information, or if you are paying by check contact Deb Callahan at 619-460-5600. We know these are tough economic times. However, due to CSLN's advocacy and regular contact with DDS, many cuts that have been proposed in years past have not happened and recent increases were due to CSLN's advocacy. 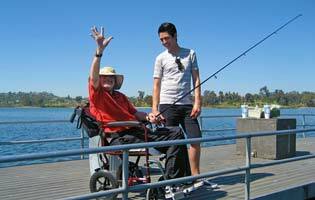 Please recognize your membership dues allow us all to continue to the fight for preserve Supported Living, Independent Living, Respite, Personal Assistance & Supported Employment within the State of California. Today we are fighting harder than ever to preserve the quality services we provide. Our Annual Leadership Conference in San Diego is the place to fully connect with CSLN and learn about all we do, and how we do it. Your attendance is welcome, and highly recommended. Mark your calendar! CSLN is committed to giving you high value for a low price. Members have access to a wide variety of resources and support from all over the State of California. What do you get for your membership? Individual - $50.00 (USD) Subscription period: 1 year No automatically recurring payments Employees of a support agency or professionals in the field are not eligible for this membership level.